Using iframes (inline frames) is often considered bad practice since it can hurt you from a SEO point view (contents of the iframes will not be indexed by search engines). But whenever you have an application which doesn’t require indexing of contents (e.g. because the content is only visible after the user has been authenticated and authorized) or you need to embed content from other web sites/apps, iframes provide a nice mechanism to include content in your app and ensure that this doesn’t cause any major security issues. Please refer to the MDN which contains a good description of iframes and a few examples. Please keep in mind that things are relatively easy when working with iframes which contents are loaded from the same host/domain. If you work with contents from other hosts/domains, you’ll need to have a look at the next sections as well. In this case the source for the iframe contents is an HTML page on the same host/domain but you could also define a complete URL pointing to another location. Now that you can load content in the iframe, define how it should be displayed and access its content, you might also need to go one step further and access the parent document (or the iframes properties) from the iframe itself. Two documents have the same origin, if they have the same URI scheme/protocol (e.g. http, https…), the same host/domain (e.g. google.com) and the same port number (e.g. 80 or 443). Note that depending on your browser http://benohead.com and http://benohead.com:80 (explicitly stating the port number) might or might not be considered the same origin. A page inside an iframe is not allowed to access or modify the DOM of its parent and vice-versa unless both have the same origin. So putting it in a different way: document or script loaded from one origin is prevented from getting or setting properties of a document from another origin. Of course, in most cases using iframes makes sense when you want to include contents from other domains and not only when you want to include contents from the same domain. Fortunately, there are a few options for handling this depending on the exact level of cross-domain interaction which is required. What you would have done 5 to 10 years ago is workaround the limitation by using the fact that any window/iframe can set the URL of another one and that if you only change the fragment part of a URL (e.g. what’s after the hash sign #), the page doesn’t reload. So basically, this hack involves sending some data to another iframe/window, by getting a reference to this iframe/window (which is always possible), adding a fragment (or changing it) in order to pass some data (effectively using the fragment as a data container and setting the URL as a trigger event). This hack doesn’t seem to work anymore in some browsers (e.g. Safari and Opera) which will not allow child frame to change a parent frame’s location. You’re limited to the possible size of fragment identifiers which depends on the browser limitation and on the size of the URL without fragment. So sending multiple kilobytes of data between iframes using this technique might prove difficult. It may cause issues with the back button. But this is only a problem if you send a message to your parent window. If the communication only goes from your parent window to iframes or between iframes, then you won’t see the URL and bookmarking and the back button will not be a problem. So I won’t go into more details as how to implement this hack since there are much better ways to handle it nowadays. Another hack often used in the past in order to pass data from an iframe to the parent. Why window.name ? 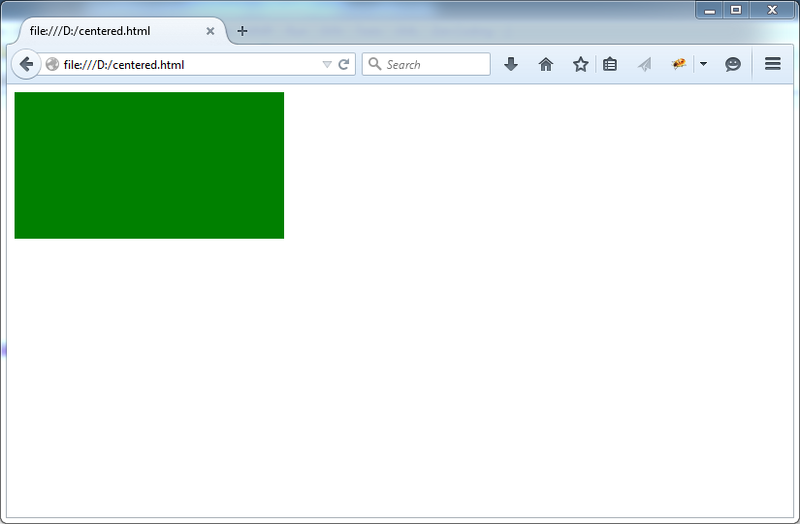 Because window.name persists accross page reloads and pages in other domains can read or change it. This code will check every second whether the window.name on the iframe has changed and display it when it has. You seem to be able to store up to 2MB of data in window.name. But keep in mind that window.name was never actually not designed for storing or exchanging data . So browser vendor support could be dropped at any time. Since the single origin policy is enforced by the browser a natural solution to work around it is to access the remote site from your server and not from the browser. In order to implement it, you’ll need a proxy service on your site which forwards requests to the remote site. Of course, you’ll have to limit the use of the server side proxy in order not to introduce an exploitable security hole. A cheap implementation of such a mechanism, could be to use the modules mod_rewrite or mod_proxy for the Apache web server to pass requests from your server to some other server. You can only set the domain property of your documents to a suffix (i.e. parent domain) of the actual domain. So if you loaded your document from “kanban.benohead.com” you can set it to “benohead.com” but not to “google.com” or “hello.benohead.com” (although you wouldn’t need to set it to “hello.benohead.com” since you can set the domain to “benohead.com” for both windows/frames loaded from “kanban.benohead.com” and “hello.benohead.com”). The basic idea behind JSONP is that the script tag bypasses the same-origin policy. So you can call a server using JSONP and provice a callback method and the server will perform some logic and return a script which will call this callback method with some parameters. So basically, this doesn’t allow you to implement a push mechanism from the iframe (loaded from a different domain) but allows you to implement a pull mechanism with callbacks. One of the main restrictions when using JSONP is that you are restricted to using GET requests. CORS is a mechanism implemented as an extension of HTTP using additional headers in the HTTP requests and responses. 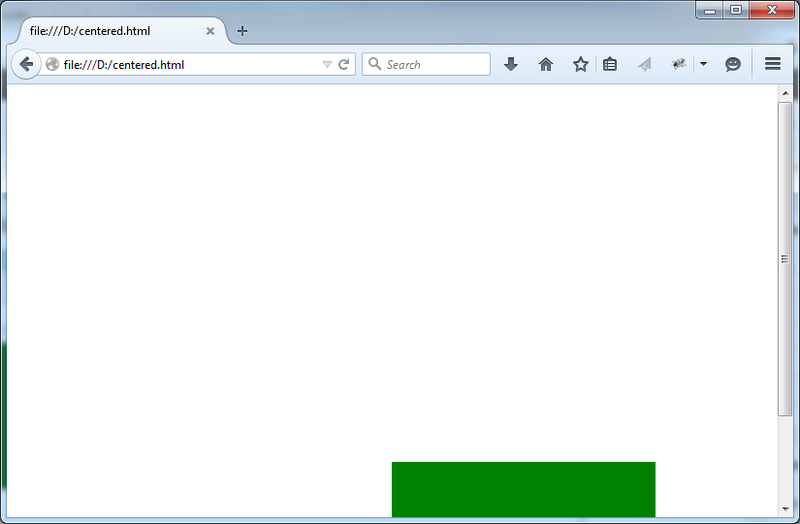 the only headers manually set are headers set automatically by the user agent (e.g. Connection and User-Agent) or one of the following: Accept, Accept-Language, Content-Language, Content-Type. the Content-Type header is application/x-www-form-urlencoded, multipart/form-data or text/plain. The actual request is sent. The preflight request is an OPTIONS request with an Origin HTTP header set to the domain that served the parent page. The response from the server is either an error page or an HTTP response containing an Access-Control-Allow-Origin header. The value of this header is either indicating which origin sites are allowed or a wildcard (i.e. “*”) that allows all domains. The CORS specification defines 3 additional request headers and 6 additional response headers. 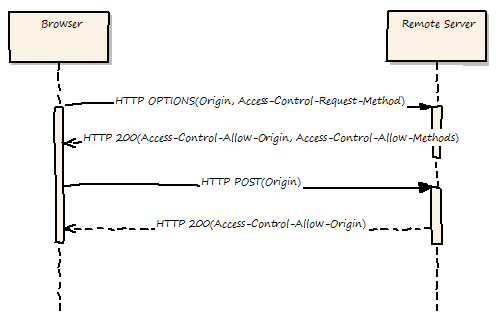 The browser send an HTTP OPTIONS request to the remote server with the origin of the page and the request method to be used. The remote server responds with an allowed origin and allowed methods headers. The browser then proceeds with the actual HTTP request. If you want to use some additional headers, an Access-Control-Request-Headers will also be sent in the OPTIONS request and an Access-Control-Allow-Headers will be returned in the response. You can then use this additional header in the actual request. Although CORS is supported by most modern web browsers, JSONP works better with older browsers. JSONP only supports the GET request method, while CORS also supports other types of HTTP requests. CORS makes it easier to create a secure cross-domain environment (e.g. by allowing parsing of responses) while using JSONP can cause cross-site scripting (XSS) issues, in case the remote site is compromised. And using CORS makes it easier to provide good error handling on top of XMLHttpRequest. Of course, instead of a star, you can also return a single origin (e.g. benohead.com) or using a wildcard in the origin (e.g. *.benohead.com). This header can also contain a space separated list of origins. In practice, maintaining an exhaustive list of all allowed origins might be difficult, so in most cases you’ll either have a star, a single origin or a single origin and an origin containing a star e.g. benohead.com *.benohead.com. If you want to support a specific list of origins, you’ll have to have the web server check whether the provided origin is in a given list of allowed origins and return this one origin in the response to the HTTP call. CORS in itself is not providing with the means to secure your site. It just helps you defining how the browsers should be handling access to cross-domain resource (i.e. cross-domain access). But since it relies on having the browser enforce the CORS policies, you need to have an additional security layer taking care of authentication and authorization. Nowadays, the best solution for direct communication between a parent page and an iframe is using the postMessage method available with HTML5. Using postMessage, you can send a message from one side to the other. The message contains some data and an origin. The receiver can then implement different behaviors based on the origin (also note that the browser will also check that the provided origin makes sense). The parameter to the handler function is an event containing both the origin of the call and the data. Typically, you’d check whether you’re expecting a message from this origin and log or display an error if not. I had already written an article about this quite some time ago. The problem with this approach is that it only works with elements having a fix size. So I’ve written an article specific to the horizontal centering of variable width DIVs last year. The problem with this approach is that although it works I have no clue why and feel it might break some time in the future. Also this approach only works for centering horizontally. Luckily, since then, I’ve able to use another approach which seems cleaner and also doesn’t require my components to have a fix size and works both vertically and horizontally, without using any strange hacks. Note that this currently only works with Firefox. Support for Chrome and Internet Explorer is not yet available and it’s not yet known when it will be available. The new Battery Status API allows you from a web page to access information about the battery status of the device rendering it. It is not only useful in order to show the current status but to implement battery status dependent logic e.g. increasing polling interval using Ajax or disabling animations in order to preserve the battery, or auto-saving in case the device goes out of power, prevent the user from performing long running operation which might not be able to finish because of the low remaining battery level. Now we’re almost done… All we need is what’s actually the main topic of this post: to get the battery level data using HTML5. For this we need to use the new Battery Status API. So the Battery Status API is a very powerful and useful API which is very easy to use. Now let’s hope it will soon be available in all major browsers ! When centering divs, if your div has a fixed width you can either absolutely position it and set negative margins as shown in this post. 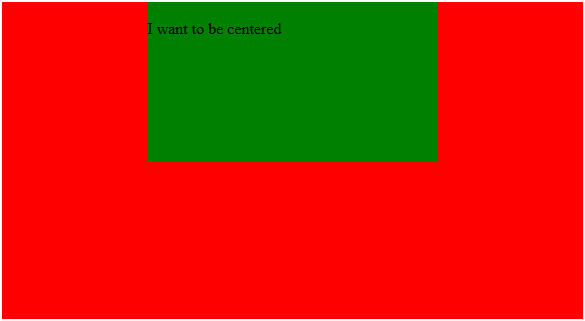 Another way to center such a fixed width div horizontally is to set both its left and right margin to auto. The browser then has to set both margins to the same value. Unfortunately known of these two techniques can be used if your div doesn’t have a fixed width. In this case, you’ll need a different solution. Because of the semantical orientation of HTML5 many HTML tags have been declared a non-conformant (deprecated) in HTML5. These tags are tags which are either redundant or do not transport meaning but only display properties which should rather be done setting CSS properties than HTML tags. Note that <u> was on the list of deprecated tags for some time but currently has found its way back into the HTML5 specification. 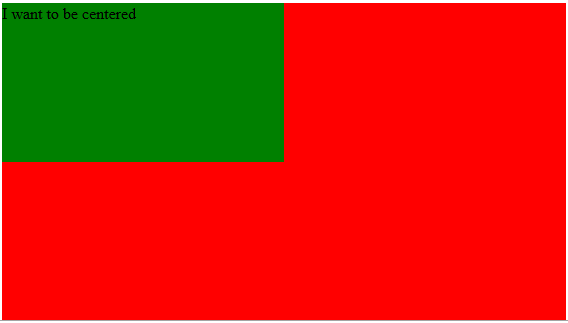 <u> makes the contained text underlined. It&apos;s never been a good idea to use it since underlined text generally has a different meaning for users of HTML pages: it usually shows that this text is a link which is not the case with the <u> tag. Of course the same can be achieved with CSS, so this tag is not really required and using it for only display purposes doesn't fit the semantical objective of HTML5. This element only got out of the HTML5 non-conformity because there are scenarios in which it does transport a meaning (Chinese proper name mark, text marked incorrect by a spell-checker, indicate family names). When writing a new post, I usually use the text view in TinyMCE. Whenever I need to paste some code example, I thus need to escape the pasted text to HTML entities so that it’s not interpreted as HTML code but to have it displayed properly. When just pasting a line of HTML it’s not a big deal but when I paste many lines it’s quite some work. A workaround is to switch to the Visual view past the code and then switch back to the text view to add the <pre> tag. But it’s not very practical. Ideally, I would just need to open a web page in a separate browser window where I could have the code escaped. Additionally to save some more interactions, I’ve added a button to copy the escaped text to the clipboard using the ZeroClipboard library. Since the latest version of the library seems to not work properly on my site, I ended up using the zclip jQuery plugin which in turn uses ZeroClipboard. In case, you want to do the same, note that the link to the swf file on the zclip library refers to google code where ZeroClipboard is not available anymore because it moved to the excellent GitHub. Luckily, I had an older version of zclip with the swf file in another project and could thus reuse it. In the future, I plan to improve the page to make it look nicer and to add some options as to what you want to escape. For instance, you do not need to escape apostrophes and quotes if you just paste the code in an HTML tag (but you do need it if you paste it to an attribute). Also, you may want to also escape spaces and new lines which is currently not supported. The tool can be found online at Online HTML Escape Tool. Even if you wrap the checkbox in a label for it, you can still click anywhere near the checkbox to toggle it but it’s not visible to the user that it’s possible. Since you cannot style the checkbox itself, we’ll have to add a new element and hide the checkbox. Additionally, since some scripts will read the state of the checkbox, we need to keep the checkbox in there (even if not displayed) and we need to make sure that the state of the switch and the state of the check are in sync. This would select the labels immediately following a checkbox. Using this we can style the labels depending on the state of the checkbox. Note that I’ve used the class “switch” in case you do not want to turn all checkboxes into switches but only some of them. If you do want to turn them all into switches, just remove this class from all selector in the CSS and jQuery code in the rest of this post. Note that we do not need a special class for the label as we need to make the appearance dependent on the checkbox state anyway so no extra selector for the label is required. Now we have this all in place, we just need to style the checkboxes and labels. An easier way to do it would be to use a background image. But I tend to avoid using images except for icons. 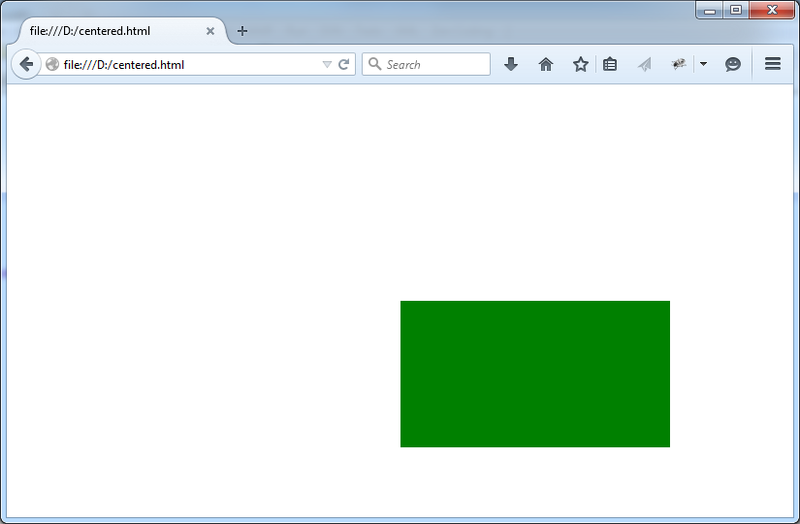 And also if the element has to have a variable size, I definitely try to avoid images. The goal in this post is anyway no do show you how to make nice looking backgrounds with CSS only so we’ll stick to a plain two color background. Please also note that IE only supports it starting with version 9.0. The inline-block is a great invention. For those who still don’t know it, it’s a kind of float on steroids. It means it handles width and height just like a block element. But is displayed inlined with the surrounding elements just like inline elements. So this means that the label will have a width and height although it doesn’t have a text and that the round element we’ll add afterwards will be displayed in it. Note that we’ve defined the width in ems. This allows us to make the element scale when we increase the font size. So the content is empty because we do not want to display some text but only have a background and borders displayed. box-sizing is used so that the width and height defined do already contain the borders. We want this element to be half the width of the containing label and to be round (so same height and width). Since the width of the label is defined in ems, the height and width of this element also have to be defined in ems. But since we need the border to always be 1 pixel (defining it also in ems makes it look terrible when the size is increased), we should define the width and height to be 0.8em – 1px. This is not possible. So we use box-sizing to say that the 0.8em already contains the border. Note that box-sizing, requires a prefix for all versions of Firefox (both mobile and desktop) and required a prefix for Safari until version 5.0, for iOS Safari until version 4.3, for Blackberry Browser version 7.0, Android Browser until version 3.0. Also not that Internet Explorer version 7.0. I’m currently working on a new software and I am working on both an administration page and a home page for the software. I also made a login page. Currently the login page looks kind of strange because it basically only has a few elements and takes up almost the whole screen (except a header, a navigation bar and a footer). So the screen is much too big for the few elements I have in there. 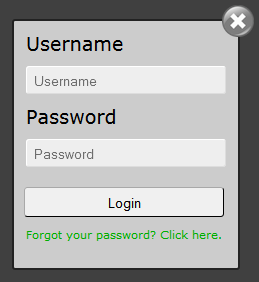 So I decided to move the login page to a floating login dialog which is much smaller and thus looks better. 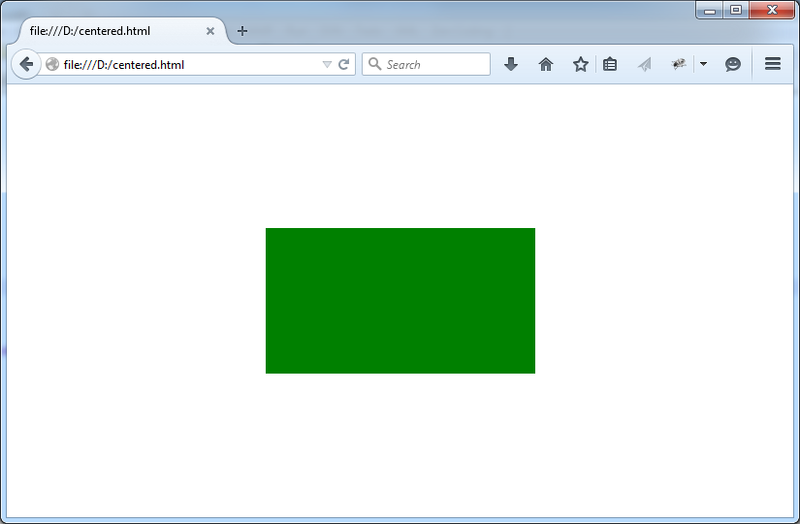 Here is a short tutorial how to build such a dialog with HTML, CSS and jQuery. display: none => the dialog is not displayed when you open the page containing it but only when you click on some login link. left: 50% / top: 50% => we want to have the dialog centered on the screen. This defines that the top left corner of the dialog will be in the middle of the screen. This means we’ll have to add some negative left and top margins when we display the dialog in order to have the middle of the dialog centered (the exact offset of course depends on the height and width of the displayed dialog. position: fixed => this means that the position of the dialog doesn’t depend on the position of other elements but has a fixed position on the screen. Also note that the default value for position is static and with this set, the z-index will be ignored. So it’s important to set it to fixed. z-index: 99999 => All elements with a z-index smaller than 99999 will be displayed below the dialog. If elements have no z-index defined, they inherit the z-index of their parent and if none is defined for any element, they all have a z-index of 0. Note that you may want to add the corresponding browser specific properties for border-radius. The data-selector attribute is a custom attribute which is used to indicate which div ID is to be opened in the dialog when the link is clicked. To go from the top left corner to the middle of the dialog, we’re defining a negative top and left margin corresponding to half the height and width of the dialog. We also add 4 pixels to the height and width because of the 2 pixels border on all 4 sides of the dialog. If you want the dialog to be displayed faster, you should reduce the 200 parameter in the fadeIn call. If it’s too fast for you, increase it. A link for users who forgot their password. This overlay is also hidden when the page is first displayed (just like the dialog itself) and will be displayed when the link is clicked. The overlay should cover the whole page, be dark and semi-transparent. This makes the page in the background still visible but not really readable. If it’s too dark for you, just reduce the opacity: 0 means transparent, 1 means opaque (i.e. the page is not visible anymore). It basically says to find a link in the navigation (i.e. nav a) having a href attribute (i.e. nav a[href…]) ending with (i.e. href$=) “/home”. Of course if your URLs look different e.g. if you have query parameters or it is not the last part of the URL which is relevant for the link selection, you’ll need to adapt the getLastPart function. If it is not the last part of the URL which is relevant, you’ll also need to use a different selector. Of course using the column name is not always a good idea. It’s be better to use an ID or an index. An index is kind of difficult to use especially if columns are moved around. And since the column might not have an ID but will most probably have a name/header, I went for the name. Note that I here also assume you have a <tbody> tag. If not, you’ll have to modify the plugin.